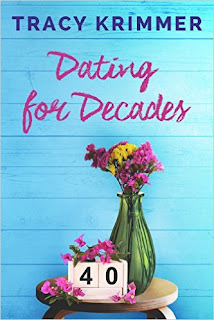 I absolutely loved the title of this book - Cassie, our sassy single leading lady, is about to turn 40 and has therefore literally been dating for decades. Cassie may always be the bridesmaid and never the bride, but, as the song goes, that's the way uh-huh-uh-huh she likes it! She has set up a support group for people who are struggling to find partners; a group that comprises only women. When Keith walks in one day looking to join the group, Cassie argues that the group is for women only but she has met her match in Keith and he does manage to join the group. He's a big hit with the group as he gives the women a much needed male perspective on their problems. Cassie is attracted to Keith but when she needs to find an electrician for work, she gives Keith the job and puts her budding feelings aside as she wants to keep their relationship on a purely professional level. Just to confuse Cassie further, her boss appoints his nephew, Lucas, to work with her. At first Cassie sees Lucas as competition but when he starts to flirt with her, Cassie thinks what harm can it do? He is 17 years younger than her so it's just a bit of fun, right? You could almost feel the testosterone wafting out of the pages as Lucas and Keith square up for a bit of competition. While all the fun flirting is going on, we get to delve into Cassie's past and find out why she is so averse to marriage and always runs away at the first sign of a relationship getting serious. This part of the story is what sets Tracey Krimmer apart from traditional chick-lit authors. Cassie is so well developed as a character; she has so many layers and at first I was eager to rip each layer off like a pass the parcel game, but quickly realised that I was getting to a fragile layer that needed to be handled with kid gloves. As a solitary tear rolled down my face at one point of the story, I felt as if Cassie had become one of my close friends. 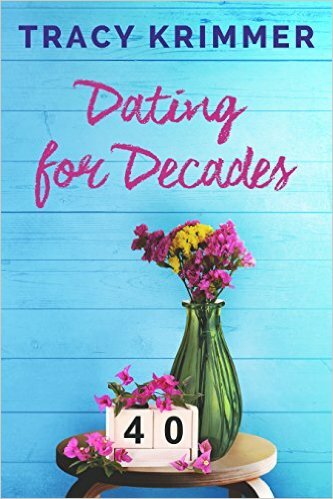 Dating for Decades is a hidden gem; it is so much deeper than chick-lit with characters you can't help but fall in love with. A fun and witty book about dating but also a thought provoking read of how parents can sometimes damage their children; but ultimately blood is thicker than water.